Budget carrier IndiGo has put on sale 10 lakh promotional seats for an all-inclusive fares starting Rs 999 for a one way journey across its flight network. The airline said on Monday the “festive sale” offer would be for a limited period. It the ticket has been booked through mobile wallet provider MobiKwik under the promotional offer, the airline will give a super cash amount of up to Rs 600 (20 per cent), according to a company release. Bookings under the four-day “festive sale” offer began on Monday, and the offer is valid for travel between September 18, 2018 and March 30, 2019. Also, the bookings have to be made at least 15 days prior to the date of departure. The offer is valid only on non-stop flights. “The next 4 days are going to be TEN-tastic because we got 10 lakh seats on sale with fares starting as low as INR999. If this wasn’t enough, you get an additional 20% SuperCash upto INR600, when you pay through MobiKwik e-wallet!” IndiGo tweeted on Monday. “We are delighted to announce this four-day festive sale across our network, effective from September 3 till September 6, 2018. 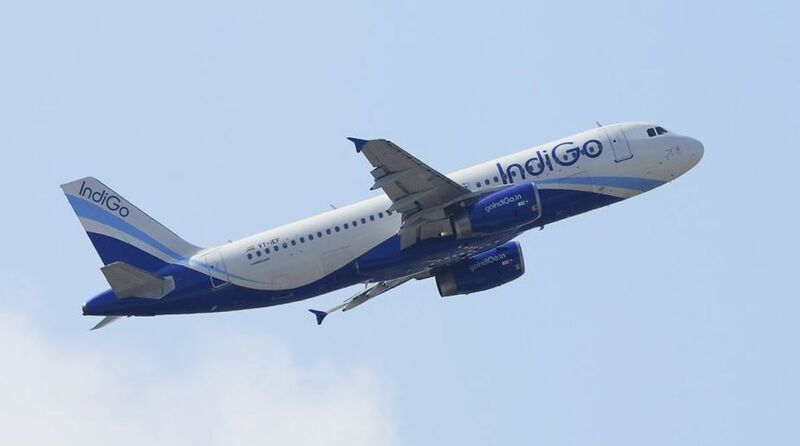 We are sure customers will quickly grab the seats we have available, starting at fares as low as Rs 999,” said IndiGo’s chief commercial officer William Boulter. IndiGo operates over 1,100 flights per day to 52 destinations, including eight international ones, with a fleet of 160 aircraft.